The seventh annual event raises over $17,000 to go directly towards supporting victims of domestic violence and sexual assault in Okaloosa and Walton counties. 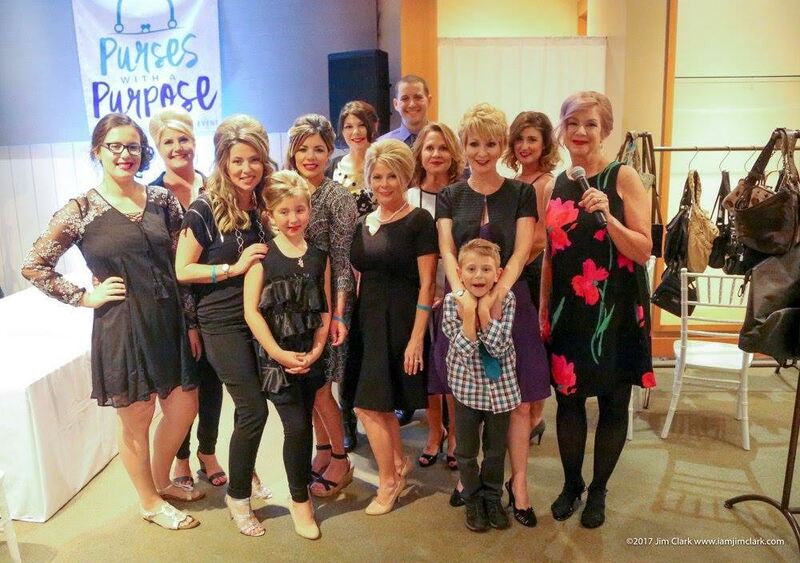 Shelter House’s signature event, Purses with a Purpose, returned to Grand Boulevard March 24-25, 2017. This year’s event was the most lucrative year since the event’s inception in 2010, raising over $17,000 for Shelter House. Hundreds of women gathered Friday night at Grand Boulevard to peruse the expansive silent auction of over 1,000 designer handbags and gently used purses while sipping wine donated by Mike and Valerie Thompson of Thompson 31Fifty, cocktails from Timber Creek Distillery and enjoying hors d’oeuvres from Grimaldi’s Pizzeria and Sunset Bay Café in Sandestin. Designer brands that were featured in the auction included Louis Vuitton, Chanel, Prada, Kate Spade, Dagne Dover and more. Fabulous handbags and accessories were also generously donated by local boutiques and retailers including The Dressing Room, Mercantile, Destin Jewelers, Sirens at the Beach, Fabrik, Bijoux de Mer, Serenity by the sea Spa, McCaskill & Company, Salamander Spa at The Henderson, Belk, Affinity Boutique, Destin Boutique, All Dressed Up Boutique, Charming Charlie, Dog Harmony, Sandestin Med Spa, Sandestin Famly Retail Shops, Frillseekers Gifts, LuxExchange, Gypsea Rose, Grand Fitness, Lilly Pulitzer, Vineyard Vines, Pretty Please and more. Other sponsors included Appleseed Expeditions, Insurance Zone, Dr. Mara Fiorentino and the Okaloosa County Sheriff’s Office of Criminal Investigations. B-Boy Productions brought the fun for evening, with live music by DJ Josh Woeckener and a photo booth complete with props and accessories. Silver Sands Premium Outlets generously sponsored the fashion show, featuring actual domestic abuse and sexual assault survivors that have provided or utilized Shelter House’s services. The models were treated to a luxurious visit to Pin Up Girls Hair Studio Friday afternoon to have their hair and makeup done for the event. Purses with a Purpose reopened on Saturday, March 25 giving shoppers the opportunity to explore the remaining handbags. Attendees enjoyed mimosas, muffins and deep discounts! Since its inception, Purses with a Purpose has raised more than $90,000 to support Shelter House’s critical services for domestic violence and sexual assault survivors in Okaloosa and Walton counties. Shelter House accepts donations of new and gently used handbags throughout the year. For information on sponsorship opportunities, contact Shelter House at sponsors@shelterhousenwfl.org.